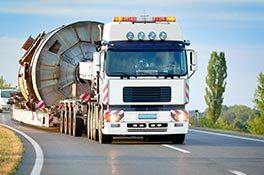 VSE offers various types of electrohydraulic steering systems for trailers to create optimum manoeuvrability without sacrificing additional load capacity. 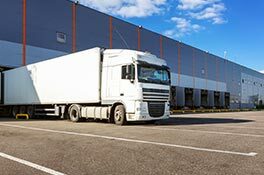 It gives trailer builders the ability to offer unique trailer concepts to hauliers, enabling them to get the most out of their trailer. 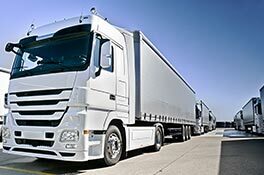 Because VSE uses software, our steering systems achieve an ideal steering angle, so the trailer with greater load capacity can reach places that were previously inaccessible. 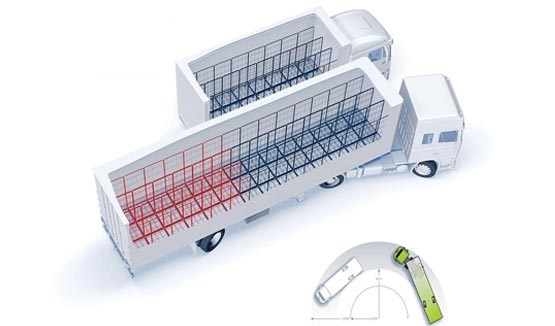 The operational efficiency of trailers can therefore be increased by up to 30%! 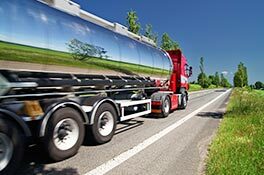 Our steering systems are light and provide improved manoeuvrability. With the VSE steering systems the weight savings can be as much as 500 kg compared to traditional steering systems. There is also less need for manoeuvring, on company grounds for example. This can cut fuel costs by as much as 20%! VSE Steering is an electrohydraulic steering system and does not use any turntables or rods. VSE Steering has no lubrication points and makes turntable overhauls a thing of the past. 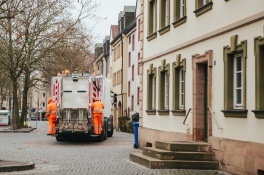 This greatly reduces maintenance costs, with potential savings of up to 65%! 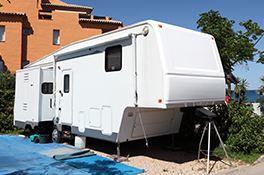 Trailers are used for various applications. 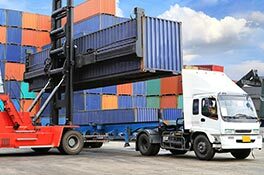 To more easily get where you need to go, whether it be within an industrial estate, private property or any other loading or unloading point, trailers are equipped with a steering system. 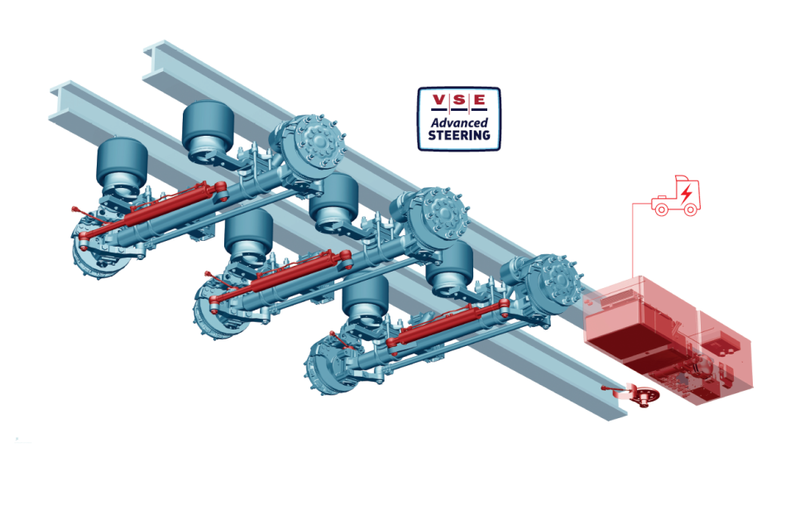 VSE steering systems steer so precisely that a trailer can be made just as manoeuvrable as a rigid truck. 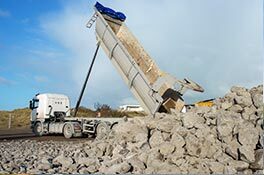 This makes it possible to boost load capacity by replacing a second rigid truck with a trailer equipped with VSE Steering. 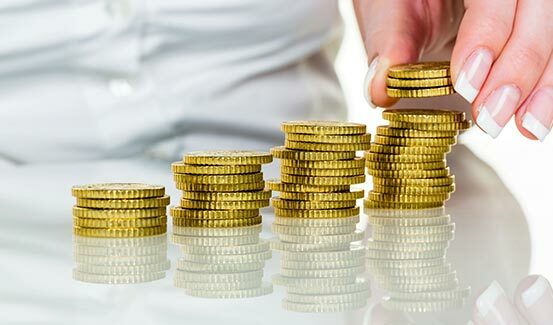 In short: with VSE Steering you save on fuel, the purchase of a second vehicle and the cost of a driver! 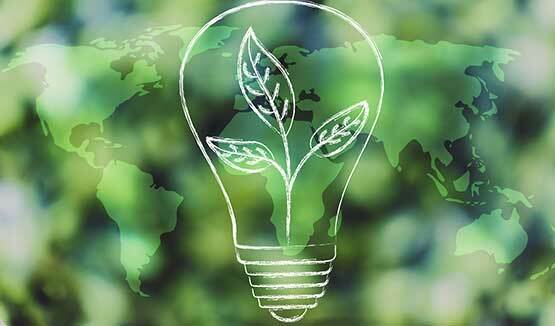 INCREASED OPERATIONAL EFFICIENCY SUSTAINABILITY COST SAVINGS WHY STEER? 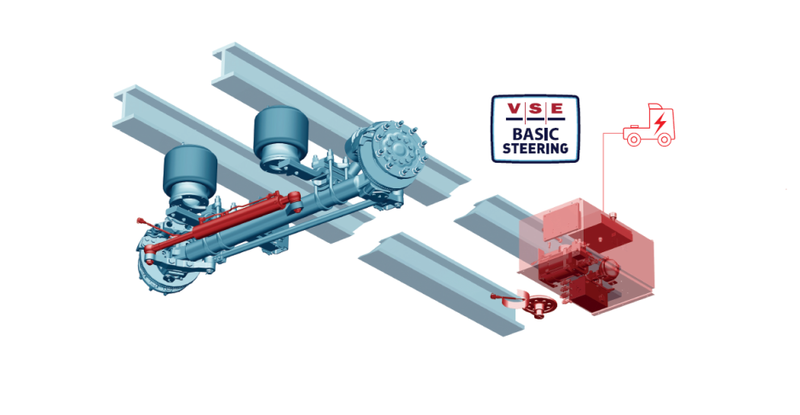 VSE Basic Steering is an electrohydraulic steering system with an electrically driven pump. 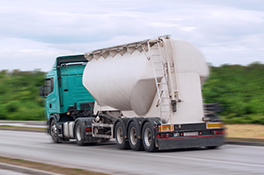 This is a standard system for trailers with up to three axles and one steered axle. 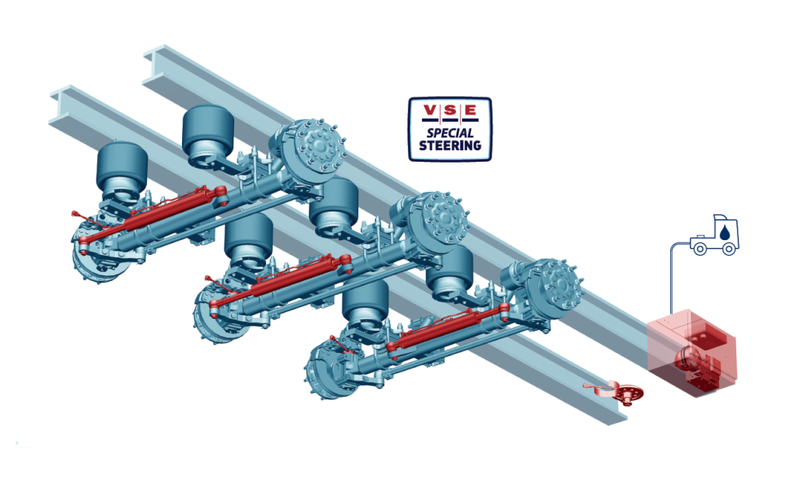 VSE Special Steering is an electrohydraulic steering system that uses a pump driven by the truck’s engine. This pump can also be used for other systems at standstill, such as a truck-mounted crane of tipping cylinder. 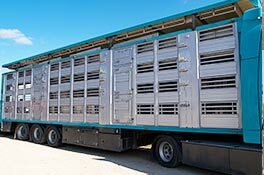 The system is particularly well suited for applications where the trailer is always used with the same truck. VSE Advanced Steering is an electrohydraulic steering system with an electrically driven pump. This pump is mounted on the trailer. 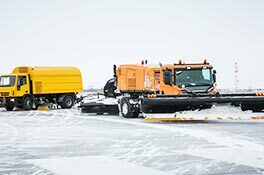 The truck supplies electrical power for the steering system via a 24 V connection. 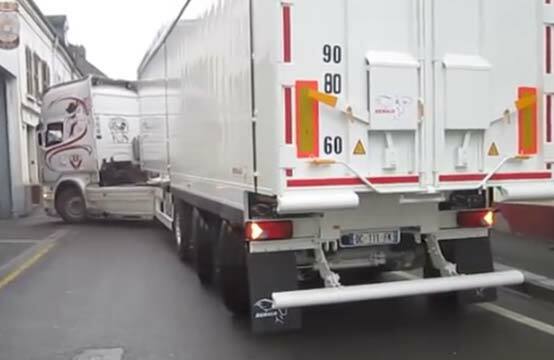 In some cases the system is equipped with batteries, which are charged via the connection to the truck. 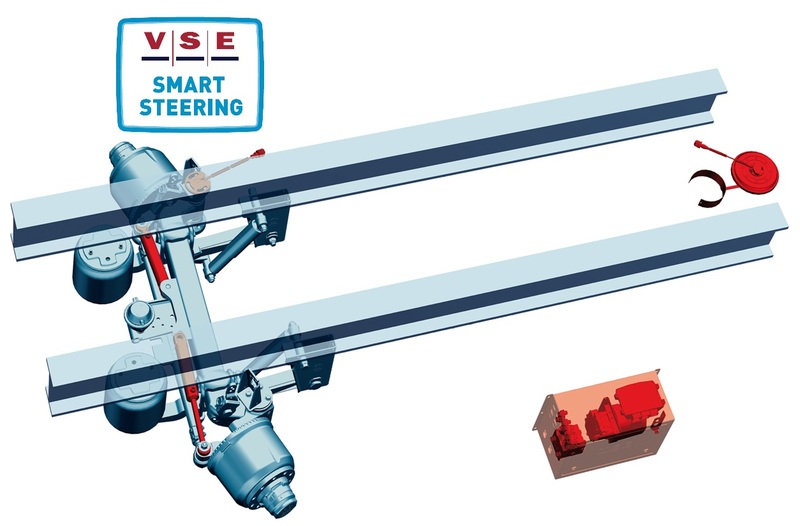 VSE Smart Steering is an electrohydraulic steering assistance system that allows a trailing axle to be steered during forward and reverse driving of a trailer. It is a standard system for one steered trailing axle.